ACL, or anterior cruciate ligament, injuries of the knee are common among certain types of athletes, and may require surgery to restore full function of your knee. 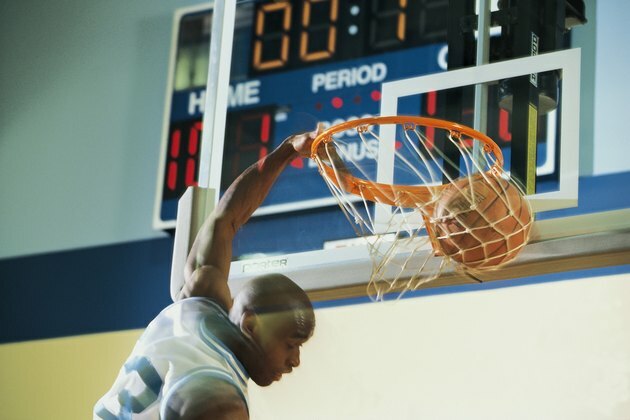 According to the American Academy of Orthopedic Surgeons, football, basketball and soccer players who participate in high-demand levels of those sports have an increased risk for ACL injuries. Common ACL injuries include a sprain or tear of the anterior cruciate ligament. ACL injuries are one of the most common knee injuries among athletes. According to the American Orthopedic Society for Sports Medicine, about 150,000 ACL injuries occur in the United States every year. The same source reports that ACL injuries account for more than a $500 million in U.S. health-care costs each year. Athletes who play high-intensity sports commonly injure their ACLs through either contact with another player or other non-contact mechanisms. According to the American Academy of Orthopedic Surgeons, about 70 percent of ACL injuries in athletes happen through mechanisms such as pivoting, cutting, sidestepping, out of control play or awkward landings, while about 30 percent of ACL injuries occur from contact with other players. Although many high-intensity contact sports such as football are played by men, women actually have a higher risk for ACL injuries. According to NIH Medline Plus, young women are two to eight times more likely than young males to injure their ACLs. The American Orthopedic Society for Sports Medicine reports that female basketball and soccer players are more likely to injure their ACLs compared with their men counterparts. People of certain ethnicities may have a higher incidence of ACL injuries. According to the American Orthopedic Society for Sports Medicine, the Women's National Basketball Association Reports that white European-American players may have a higher risk for ACL injuries compared with Asian, Hispanic and African-American athletes. In most cases, if you have a serious ACL injury you'll require surgery to restore normal knee functions and return to playing sports or working out at your desired intensity. According to Medline Plus, depending on the severity of your ACL injury, your recovery time after surgery is usually six to 12 months. American Academy of Orthopedic Surgeons: ACL Injuries: Does it Require Surgery? How Many Calories Do You Burn When You Play Football?